This entry was posted in Shows on April 21, 2018 by admin. 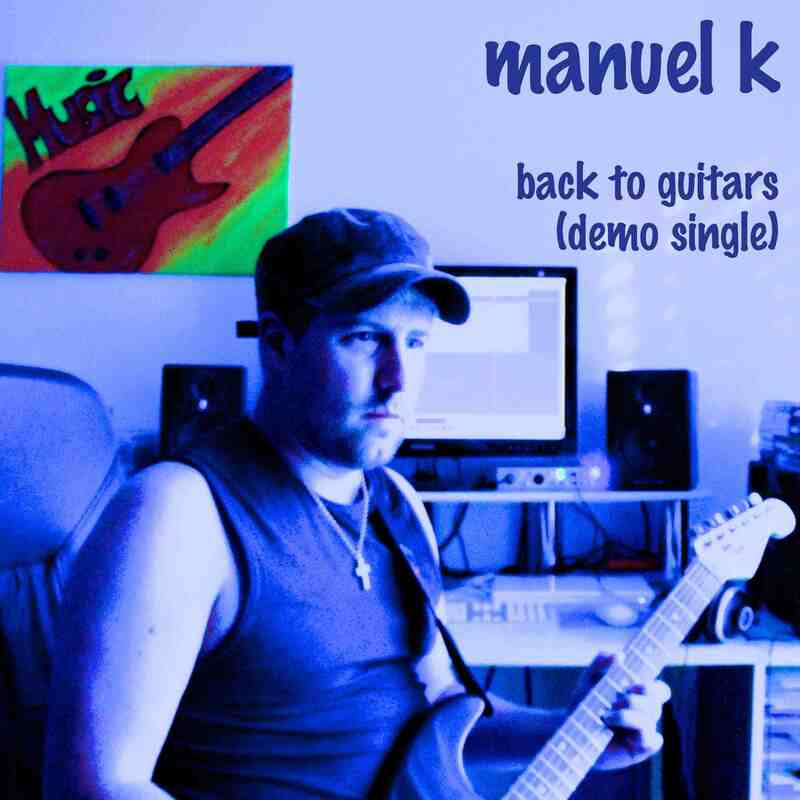 Manuel K’s first single „Back to Guitars (Demo)“ was released 5 years ago! The track is available to download at iTunes and to stream on Apple Music or Spotify. This entry was posted in News on January 31, 2018 by admin. Manuel K (vocals, acoustic guitar, harmonica) performed at Wartau Music Night in Weite, Switzerland on Friday, November 17, 2017. For the first time, his younger sister Angela (backing vocals, acoustic guitar, electric violin) joined him on stage. They played songs of his solo project Manuel K and his former rock bands Nextmile and Rockcousins – songs of a 20 years period (studio recordings of those songs originally released between 1996 and 2016)!! Check out the second live performance video – „Childhood Memories [Back Home]“ – one of the first songs Manuel K has ever written, co-written by Mirco J.N. „Childhood Memories [Back Home]“ is available to download HERE and stream HERE. This entry was posted in News on January 3, 2018 by admin. Thank you for an incredible year 2017. Best wishes and Happy New Year 2018! This entry was posted in News on December 31, 2017 by admin. Check out the new live performance video for „She Was My Girl“ – one of the first songs Manuel K has ever written, co-written by Mirco J.N. „She Was My Girl“ is available to download HERE and stream HERE. This entry was posted in News on November 29, 2017 by admin.